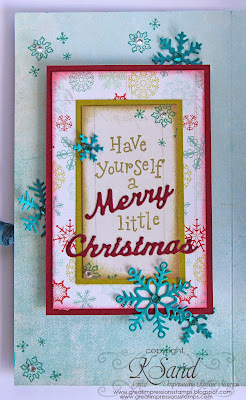 Kendra from Luv 2 Scrap 'n Make Cards here, today I am sharing some more favorite cards I created this year using some of GI's lovely stamps!! This time I am focusing on months July - December! I picked 3 projects again!! 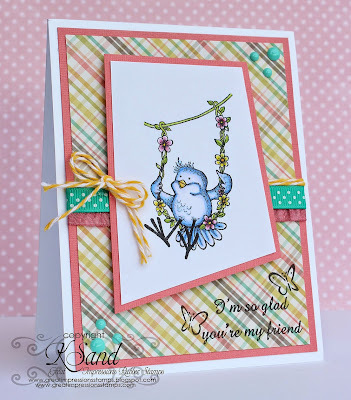 A card using the adorable Birdie Swinging (F584)!! 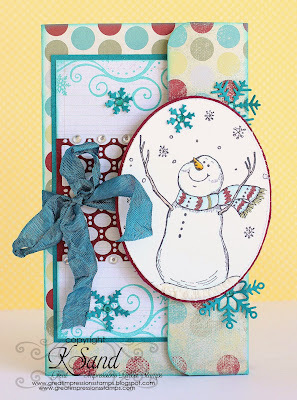 I just love this adorable stamp, along with the fun layout!! I also used the My Friend (B181) sentiment and the Flitting Butterflies (A32)!! I was so proud to give a gift in this box!! I just think this tag is so beautiful! One of my favorites I have ever created!! 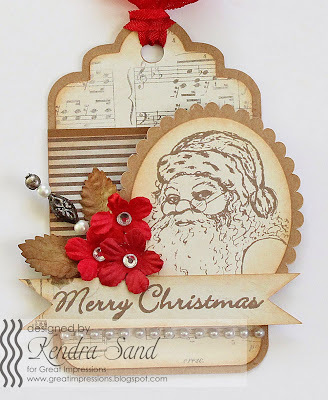 I used E659 Saint Nicholas Sketch and C409 Merry Christmas sentiment! I will be back again next year with GI, which I am super excited about!! But this time on each Thursday! !